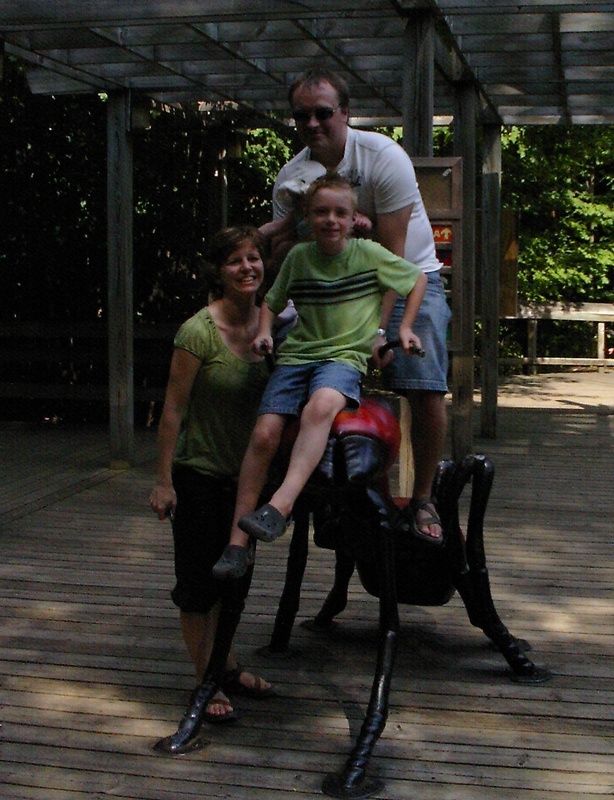 Sunday we went to Binder Park Zoo in Battle Creek…a very fun place! 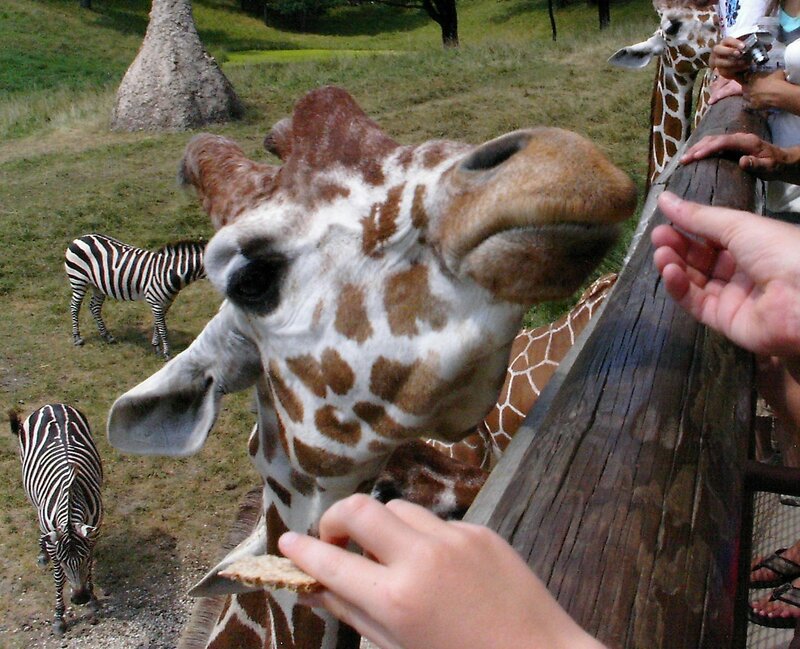 We fed giraffes, saw a snow leopard cub (two months old…the cutest thing! ), and walked until our feet hurt (though K’s feet seemed to be fine.) It was a great day together. K is in the picture on the right, but about all you can see is her hat and her arm, which at the moment was reaching for Momma’s hair.